Authorities in Catalonia are claiming that 90 percent of those who voted in the independence referendum are opting to break away from Madrid. Sources are reporting that over 2.2 million votes were tallied in Catalonia, and that 90 percent of those votes favor independence from Madrid. As announced on Catalonia's TV3, the official Catalan referendum vote results are 2,262,424 votes counted, with 2,020,144 (90.09 percent) voting for independence and 176,565 (7.87 percent) voting against. Catalans have won the right to sovereignty, according to a statement by Catalonia President Charles Puigdemont in a live televised speech on Sunday. 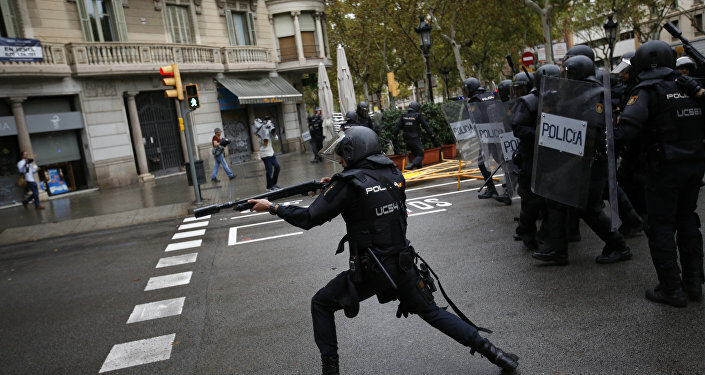 The hotly-contested referendum has seen widespread violence at the hands of heavily-armed Madrid security forces, as upwards of 900 voters have been injured, some seriously.